And here we are again, Saturday Sweets. 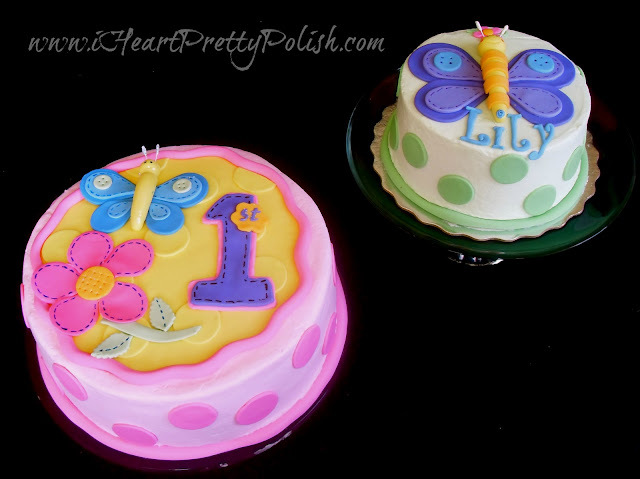 A friend of mine asked me to do her daughter's 1st birthday cakes and match them to the plates and invites (called Hugs n' Stitches - you can google it to see). As you know, a 1 year old needs a smash cake, so I had to make two cakes. 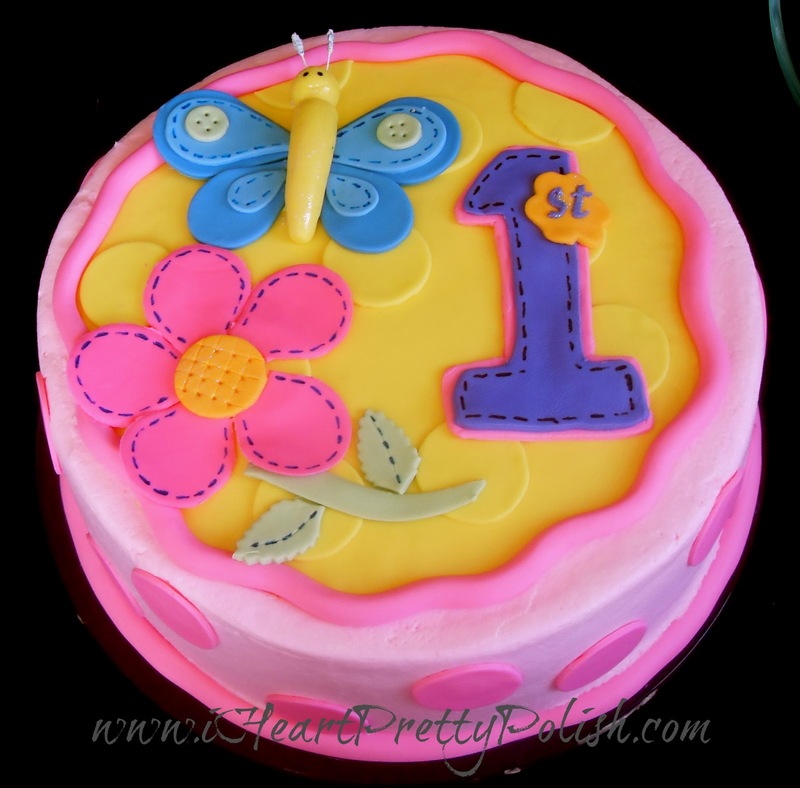 The smash cake was 6 inches in diameter and the main cake was 12 inches. Both cakes were chocolate with raspberry mousse filling. I was a little nervous about that pairing of flavors, but she said they were really good. But would she have told me if they weren't? 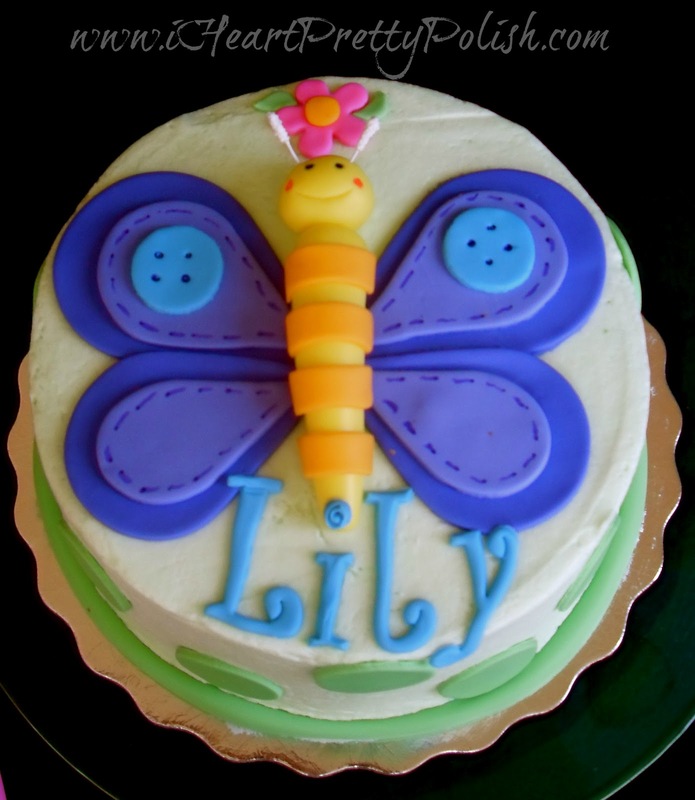 The cakes were covered in buttercream with fondant accents. You make beautiful cakes!!!! LOOOOVE!!! These are too cute! I love those butterflies!! The cakes look amazing, wish I could have a piece of them! Don't worry about the flaws, most of the time we're the only ones to notice them. Wow I love seeing your cake designs! They are so amazing looking! That's it, I'm hiring you to make my birthday cake!!! Raspberry mousse filling... Buttercream topping... Oh yeah....!! !